The parts and options shown below are many of the items that can be ordered on your BECK SPYDER®, or purchased separately. 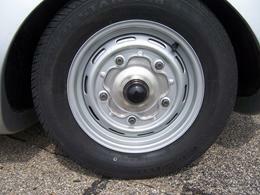 Please note that all pricing on our web pages are installed parts prices. Call or visit our store for prices of parts sold and shipped as parts. This list is not complete, so should you have any specific option or detail in mind that you do not see please call. 574 546-4656 and ask for Carey. 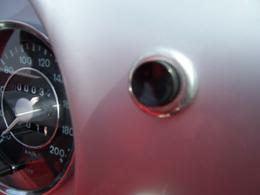 There is virtually no limit to the custom work that we do here at Special Edition, Inc. Dash grab handle - Dash grab handle with rubber gaskets under each end for a professional fit and appearance. 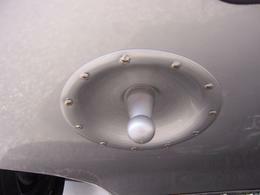 Optional Beck Spyder® Tail/Turn light Set (4) - These high quality lights give your BECK SPYDER® a custom look. 2 taillights (red) and 2 turn signals (clear). GT Racing Mirrors - Available for both the driver side and passenger side. These are custom made units with a glass mirror surface that is oval in shape. Color matched and hand fitted to your Beck Spyder® with authentic leather body gasket. Custom Helmet Fairing - this fairing is color matched to the car, and made to be removable so the convertible top can be fitted without modification. 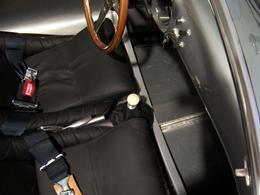 Racing Style Seatbelt Options - 2 point (pictured)3, 4, or 5 point (not pictured) vintage racing harnesses are available in Blue, Red, or Black. Special trim pieces are laser cut and polished especially for our Spyder to give the installation of the shoulder harness a professional appearance. 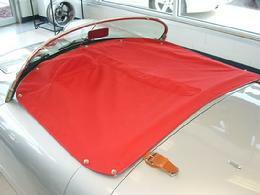 Full Tonneau Cover - This high quality cloth tonneau comes complete with genuine Tenax snaps and a center zipper. Ideal for closing the cockpit of the car on one side (for solo driving) or both when parked. This is one of the most popular and useful options. 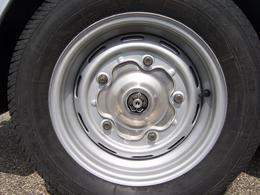 Wide Five Wheels - Upgrade the standard 4 bolt pattern to the Wide 5 (5 x 205mm) bolt pattern. 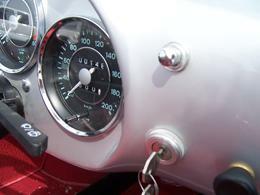 These look great on your BECK SPYDER®. This upgrade comes complete with a full set of 4 wheels and 4 aluminum drum skins that complete a vintage appearance while covering the modern brake components underneath. Shown in stock e-brake location. Can also be placed in alternative location by moving the shifter. Available to replace the clear version. Front oil cooler grill - Made to look like an open oil cooler without sacrificing the useful interior space where the standard top and side curtains are stored. Comes completely painted and installed with stainless hardware and leather body gasket. Push Button Starter Options - there are several options for those who want a push to start option. The vintage style black button (also available in Ivory), and the new vintage chrome version. Both function as the start mechanism when the key is turned to the run position. Leather bonnet straps (rear) - Our leather bonnet straps are hand made by local Amish craftsmen. We use only polished stainless steel buckles, end caps, and hardware. No peeling, flaking or rusting like the cheap imitations. 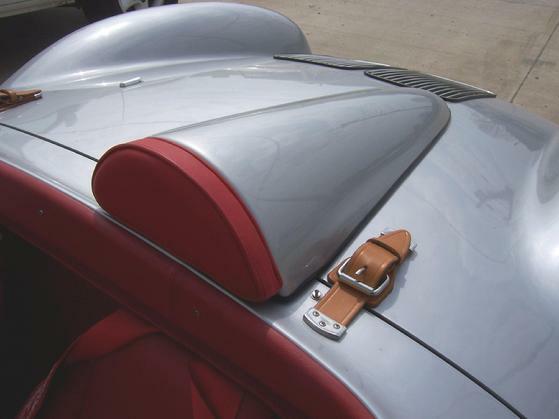 Front Hood Key Latch - this trim piece is designed to be put on the front hood as a faux key latch opening and adds to the exterior appearance of the BECK Spyder® . Rear key latch covers - designed to mimic a typical key latch mechanism. These trim pieces install on the left and right side of the rear deck lid. Convenient and stylish interior door handles. Painted Rear Racing Spears - Painted in your choice of color with accented trim, the most popular are the red spears with a 1/4" gold trim edge. Our spears are painted and then we clearcoat the entire deck lid so that these do not appear to be added on top of the paint, nor can you feel the edges. No peeling or fading issues either. Jacking Points (Set of 4) - "faux" jacking points, the front pair (shown here) are installed into the under side of the nose, and the rear are welded directly on to the chassis.